Failure to pay payroll taxes can trip up even the most conscientious CFOs, company officers, and owners. One notable case, Jenkins v United States 2012-1 Tax Case (CCH) P50, 394, puts the CFO squarely in the line of fire for collecting the funds. 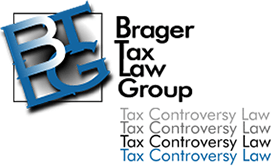 The case demonstrates that even those CFOs who do not sign the tax returns themselves may become liable for the signer's failure or inability to pay taxes. In general, responsible corporate officers and counsel who willfully fail to pay payroll taxes become personally liable for the taxes. While many business owners are stuck paying corporate payroll taxes out of their own pockets, a few also wind up going to jail for their failures to pay. The Jenkins case brings up some important issues over the Trust Fund Recovery Penalty, a punishment the IRS put in place under Internal Revenue Code (IRC) section 6672(a) to collect amounts owed to the Federal Insurance Contribution Act (FICA) (i.e., Social Security), Medicare (i.e., Hospital Insurance) and income taxes. These taxes collectively are known as trust fund taxes because the employer holds the taxes in trust until they are paid to the IRS. After taking nearly a decade to wind through the U.S. court system, the Jenkins case was only resolved this summer.